Responsible for Economic Studies at SACE S.p.A. He was Head of Analysis and Economic Research SACE SRV, a SACE group company where he worked on analysis on the developed countries, particularly Italy, and on industrial sectors. He previously worked as an economist at Confindustria Study Centre and collaborated in the drafting of several studies, notes and reports on economic issues of different nature. 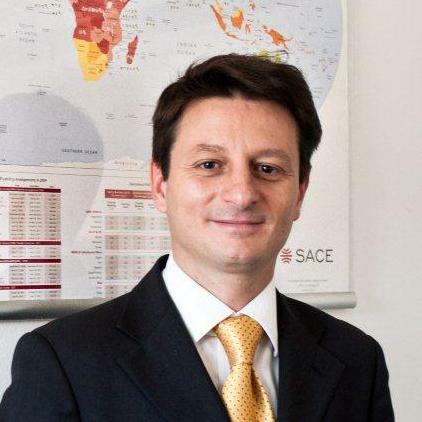 Graduated in Economics from the Luiss Guido Carli University in Rome (2001), where he worked as Assistant for the Political Economy course - Faculty of Political Sciences (2004), has also collaborated with several Italian universities (Tor Vergata, Politecnico Milan, SDA Bocconi) teaching Elements of risk assessment country, International Economics, Risk insurance policies of export credit, Economic and structural aspects of the Italian economy.